One year ago, when the conference theme of borders was first announced the T2M newsletter suggested that it may stimulate thought about overcoming borders. This turned out to be the case. Overcoming was a key theme in discussing the topic of borders as they often present a problem to struggle and win over. However, as we heard at the conference, they can at times provide surprisingly fruitful circumstances for mobility history. Conceptions of borders were deployed through a variety of topics – a few are mentioned in this short conference report. Andreas Christ and Merja Hoppe in their paper suggested that “mobility and borders are in a sense opposed to another”. Border is an obstacle, a cause for disunity. One of the insights of conference was that mobility infrastructure of European states actually can be seen as having disintegrated throughout history and even today. Kerstin Burckhart and Martin Schiefelbusch explored the cases of infrastructural incompatibilities between the adjacent regions of Spain–France, Denmark-Germany and Switzerland-Germany. They reflected on how difference in track gauge, mountain chains and border-crossing formalities fragmented transport networks and complicated international connections. At the opening ceremony Hans-Liudger Dienel pre-empted these observations by asking “do we have a transnational transport network in Europe at all?” Andreas Christ and Merja Hoppe evidenced the transition in importance of different borders: while people learn how to deal with political issues, the infrastructural boundaries are becoming much more tangible and urgent matters. The problematic character of borders was discussed in the context of the mobility vs. nature struggle. Sometimes this struggle only ended in utopian projects but sometimes can be used as a platform for gaining stable well-developed infrastructure. Kallio Kale, for example, spoke of the case of Finnish railways which were persistently re-built multiple times in response to the almost annual damage caused by the climate until the knowledge and monetary resources were accumulated to improve the quality of the railways. In contrast, Ekaterina Kalemeneva, winner of the best conference poster, spoke of projects of cities to the Soviet North in the 1960s which defied the climate limits of human settling but never happened to realize its full potential. A strong interest of conference participants was directed towards non-material and intangible borders – socially and technologically determined obstacles in the way of data flows. Several presentations focused on knowledge transfer over state borders (See for example papers by Elena Kochetkova, Kallio Kale, Mia Korpiola). Paulina Faraj depicted practices of DIY dissident production of radio-receivers in 1930s. Ralph Roth explored the early history of the Internet to discover that this media has had to encounter number of monetary and material barriers: with the World Wide Web finally succeeding only due to persistent attempts of enthusiasts and flexible US economics (compared to the Soviet Union). We also heard how territories and particular spheres of mobility can often used be contested by conflicting interests. Paul van Heesvelde spoke on how military and economic interests competed in Belgian railway planning in 19th century. Igor Kiselev in his opening address stated that the border is constructed economically and politically as well as technically; sometimes it is the political barriers that are most difficult to overcome. Participants of this year’s T2M conference experienced for themselves a barrier being successfully overcome: custom and passport control while crossing the Finland-Russia border at 200 km/h. 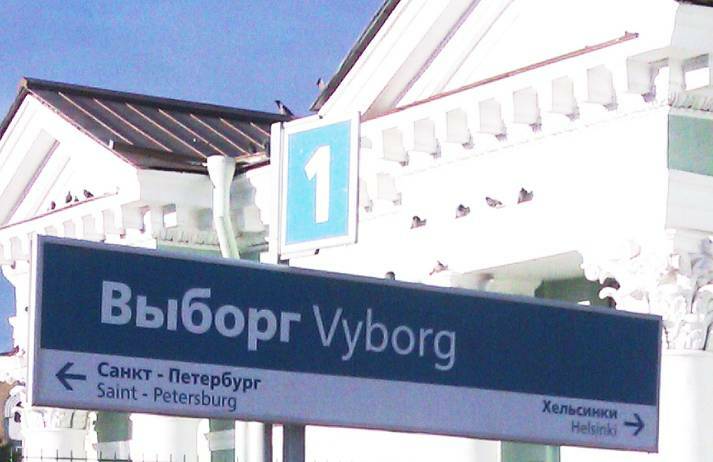 In this case, the Allegro fast train connection between Helsinki and St. Petersburg and associated border formalities provokes a need to re-think the concept border because it would normally imply a stop at the physical/geographical Russian-Finnish border. Undoubtedly, the double location of the conference was a high-point – it worked not only as entertainment but also as an analytical tool, a kind of participant observation. Passengers-participants could observe the variety of effects of border-crossing: other models of local trains, station signboards in Cyrillic letters and the sudden disappearance of Wi-Fi connection as soon as we left Finland. Nevertheless, a common message of many presentations is that borders can be conceptualized positively as well as negatively. Borders can be an engine for new ways of social integration and local development of technical progress that can tackle stagnant sectors of economics. Arnaud Passalacqua focused on the experience of France, where demarcation of borders served to define responsibilities, improve functioning and provide equality for competing railway carriers. Anna Danilova illustrated with qualitative interview data how borders of “closed cities” in Russia created the feeling of stability and immunity towards outer tribulations. Andreas Christ and Merja Hoppe gave an example of how “negative barrier effects of system borders for mobility have stimulated the development of new solutions leading to a change in the mobility and transportation system.” While Massimo Moraglio and Robin Kellermann discussed how the manifestations of borders between Europe and other continents gradually led to economic and political as well as transport “de-bordering” within the European Union. Sometimes, borders give hope – to asylum seekers, refugees and migrants. In this vein, Torsten Feys shed light on how shipping companies lobbied interests of migrants during the European escape of 1870s-1920s. Less dramatic, but very vivid image of a border as a horizon of dream and interests was analyzed by Nikolaos Papadogiannis who questions the traditional distinction between migration and vacation mobility. One could ask: what would tourism actually be like without borders? Authors of these lines of enquiring commented that colleagues residing in the EU sometimes neglected the opportunity to travel without a visa (while receiving the visa is perceived as an extraordinary adventure for, say, Russians or those willing to get to Russia). We spoke a lot about how mobility encounters, modifies and stirs up the borders. Transport has to adjust itself to the fact that the world is full of borders. But looking back once more at the Allegro train trip mid-conference, we can see that large part of this experience would be impossible without multidimensional demarcation of Russian/post-Soviet space. Let us say, some colleagues for the first time have seen a functioning trolleybus – St. Petersburg operates the fourth largest network of this transport mode in the world. Curiously, if we map out the dissemination of trolleybuses that would show us a contour of the former “camp of socialist states”. Paradoxically, we can conclude that borders are sometimes what mobility needs – to boost new ideas and developments.